Calgary, Alta. – The Western Hockey League, in collaboration with the Canadian Hockey League and Hockey Canada, announced today that Moose Jaw Warriors defenceman Josh Brook will serve as captain for Team WHL at the 2018 CIBC Canada Russia Series. 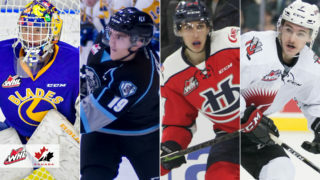 In addition, the WHL announced that Lethbridge Hurricanes forward Jordy Bellerive, Everett Silvertips forward Connor Dewar and Portland Winterhawks forward Cody Glass will serve as alternate captains for Team WHL. 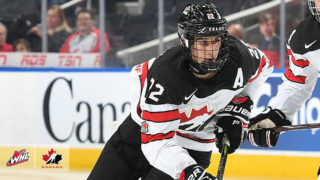 Selected in the second round (56th) of the 2017 NHL Draft by the Montreal Canadiens, the 19-year-old Brook was named the 32nd captain in the history of the Moose Jaw Warriors in September 2018. With 13 points (5G-8A) in 10 games, Brook leads all Warriors defencemen in scoring. 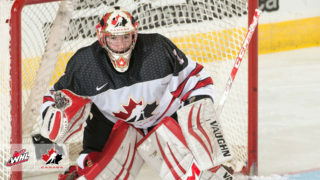 A product of Roblin, Man., Brook previously represented Canada at the 2016 Hlinka Memorial Cup as well as at the 2015 World Under-17 Hockey Challenge. Signed by the Pittsburgh Penguins as an undrafted free agent in September 2017, the 19-year-old Bellerive was named the 26th captain in the history of the Lethbridge Hurricanes in January 2018. 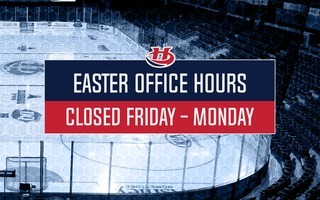 Bellerive sits second in Lethbridge scoring with 19 points (8G-11A) in 15 contests. A product of North Vancouver, Bellerive previously represented Canada at the 2015 World Under-17 Hockey Challenge. Selected by the Minnesota Wild in the third round (92nd) of the 2018 NHL Draft, the 19-year-old Dewar was named the 16th captain in the history of the Everett Silvertips in May 2018. With 18 points (10G-8A) in 11 games, Dewar sits second on the Silvertips in scoring. A product of The Pas, Man., Dewar has yet to represent Canada on the international stage. Already having the distinction of being the first draft choice in the history of the Vegas Golden Knights (2017, sixth overall), the 19-year-old Glass was named the 43rd captain in the history of the Portland Winterhawks in October 2018. With 23 points (5G-18A) in 12 games, Glass sits second on the Winterhawks in scoring. He suited up for Team WHL at the 2017 CIBC Canada Russia Series and previously represented Canada at the 2017 IIHF U18 World Championship and 2015 World Under-17 Hockey Challenge. 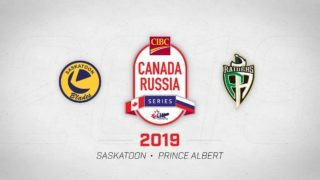 The 2018 CIBC Canada Russia Series begins Monday, November 5 at the Sandman Centre in Kamloops, B.C., before continuing Tuesday, November 6 at the Langley Events Centre in Vancouver.